Air-conditioned mobile home rental Mas Giroux offers 68 pitches over 1.4 hectares in green and picturesque surroundings. the campsite is only 10 minutes away from St-Rémy de Provence and Les Baux de Provence. Come and visit Tarascon, St Rémy de Provence, Saintes Maries de la mer, les Baux de Provence, les Alpilles et la Camargue. 68 pitches dedicated to camping lovers including ten 4 to 6-person mobile homes. Shaded electric grass pitches. Hot showers. 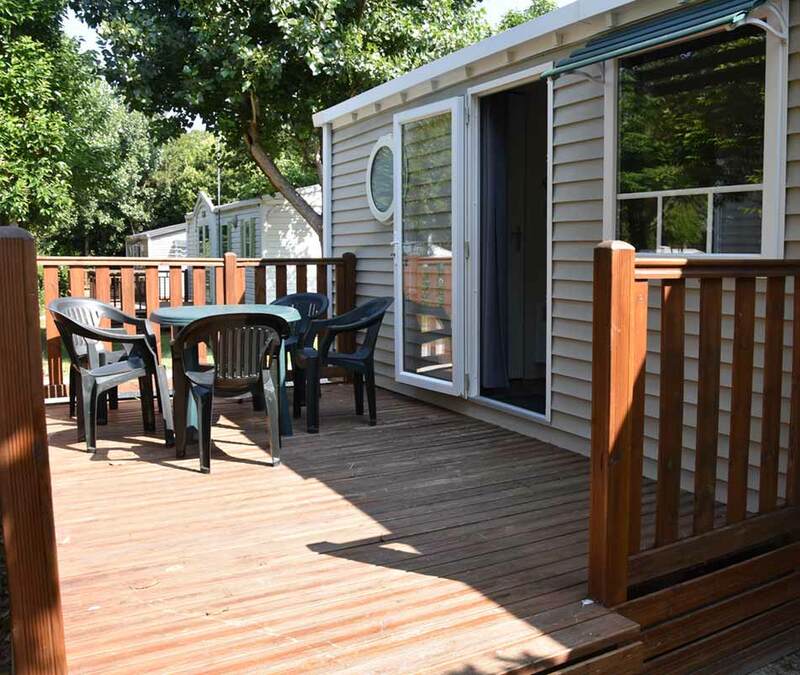 The “comfort” Mobile home has 2 bedrooms, can sleep 1 to 6 people, is equipped with a tv, toilet, separated shower room, hot water, terrace and garden furniture. Appliances: fridge, microwave, coffee machine, crockery. Bed linen not included. Mobile home with wooden terrace, established on a 110sq meter land. All our mobile homes are less than 6 years old.